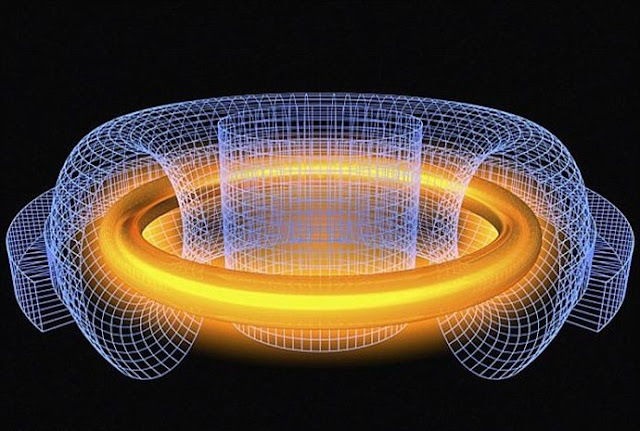 Scientists have been trying to produce energy from nuclear fusion for more than a decade. But never have they produced one efficiently.Mostly they end up using more energy to function the device than getting a desirable profitable output. It no more a big fiction that nuclear fusion could produce enormous energy. Scientists the Massachusetts Institute of Technology (MIT) is claiming that, they have developed a kind of conductor so that it will withstand the heat and high energy formed during fusion so that we could make the energy useful, profitable and clean as green. The methodology of this new type of reactor made at MIT is not other than a miniature of a STAR itself. they created the same exact model which can control the same atoms colliding fusion model which takes place in stars usually. Here the plasma fields are controlled using magnetic fields instead of metallic conductors. Yttrium Barium Copper Oxide is the special compound used here to make magnetic fields. they produce a good amount of magnetic force and produces tenfold results, even though it is smaller than the current conductors used by the scientists. During trials, the new plasma has resulted in raising trace amounts of ions to megaelectronvolt energies. MIT says the change the material of the conductor will not have an effect on how the energy is made, but it will produce the energy more efficiently.